1. The clinical importance of this bacterium which is not only responsible for peptic ulcer disease but also gastric malignancies. H. pylori infection has been recognized by the International Agency on Research on Cancer as a type 1 carcinogen and is indeed the first infection to be involved in cancer in humans. 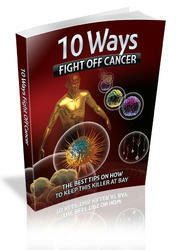 Another cancer, gastric MALT lymphoma, can also be cured by eradicating the bacterium. 2. The key role of clarithromycin in eradication treatment: clarithromycin has low MICs, good diffusion, and limited influence of low pH. Nevertheless, clar-ithromycin resistance may occur and jeopardize the treatment success. The eradication rate of the main treatment combination (clarithromycin and amoxicillin plus a proton pump inhibitor bd for 7 days) decreases from 88% to 18% if the strain is resistant. The prevalence of the resistant strains in adults varies from less than 5% in Northern Europe to more than 15% in Southern Europe. It is even higher (20-25%) among children. The main risk factor for H. pylori resistance to clarithromycin is consumption of this drug, essentially for respiratory tract infections. As resistance is caused by a limited number of point mutations, it was possible to develop methods for their detection. 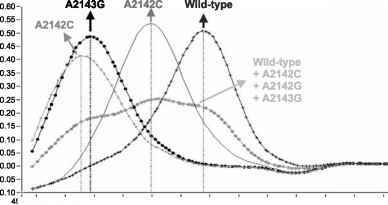 The three major point mutations are A2143G (70%), A2142G (12%), and A2142C (3%) corresponding to A2059G, A2058G, and A2058C respectively in E. coli numbering. However, this last percentage is underestimated because in most of the studies, the A2142C mutation was not sought. These mutations can obviously be detected by sequencing, but many other PCR-based techniques have been developed (Table 2). 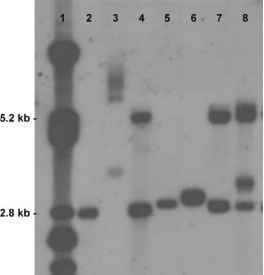 The most widely used is PCR-RFLP with BsaI and BbsI. [8,16] A third enzyme (BceAl) allowing the detection of the A2142C mutation has recently been proposed. However, these techniques have drawbacks, most are time consuming and are subject to the risk of PCR contaminations. and a good agreement was found. In only three cases (1.5%) did we find a clarithromycin-resistant phenotype and a wild-type genotype only, suggesting either that mutations in the 23S rDNA were not detected by this method, or that other mechanisms not related to mutations may be involved. Matsumura et al. using a similar biprobe assay reported a perfect sensitivity and specificity (100%) for H. pylori detection on 186 biopsies and also a perfect correlation with the PCR-RFLP results in 151 cases. However, few cultures were performed in this study and the A2142C mutation was not reported. The assay described by Lascols et al. is different for H. pylori detection as they used an LC-Red 640 primer as the sensor probe. Sensitivity and specificity of their assay tested on 196 biopsies, in comparison to histology and culture, were 97% and 94.6%, respectively. Regarding clarithromycin resistance determined for 59 of 66 H. pylori positive biopsies, the sensitivity and specificity were 91% and 100%, respectively. In contrast to the previous studies using a biprobe assay, Gibson et al. and Chisholm et al. used a monoprobe assay with SYBR green 1 as the quencher which transfers its energy to a probe labeled with Cy5. For H. pylori detection, Chisholm et al. reported a sensitivity of 85% and a specificity of 98% on 121 biopsies tested, 17 being H. pylori positive. Sensitivity and specificity for the detection of clarithromycin resistance seem inferior, and few resistant cases were tested. The FRET-MCA also has the potential of detecting mixed infections, essentially wild type and a resistant mutant, which may not be seen by using phenotypical methods. Indeed, mixed infections represented 21% of the total and three genotypes were even detected in one case. A genotype can be detected when it represents at least 10% of the DNA mixture. • Avoiding the demanding transport conditions necessary to perform culture and susceptibility testing. Shipment by mail at ambient temperature is convenient.